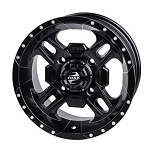 Let us introduce you to the first 17 inch ATV/UTV wheel ever offered. 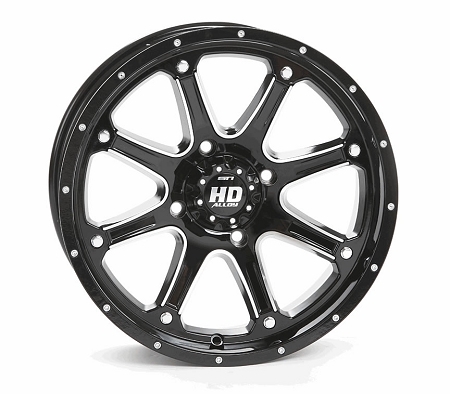 It's the STI HD4 in a glossy black machined finish. Just when you thought you had seen it all STI comes out with a 17 inch rim and tire kit for your quad. Most people love the look of the larger rim on their vehicle. 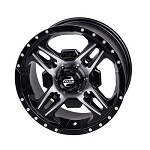 If that is the look you are going for, this is the perfect rim for you. We carry many tires to match up with these 17 inch rims. Check out the great options from the drop down menu above, you can also see pictures of the optional tires in the photos above. 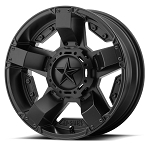 - Our STI HD4 rims are sold individually. 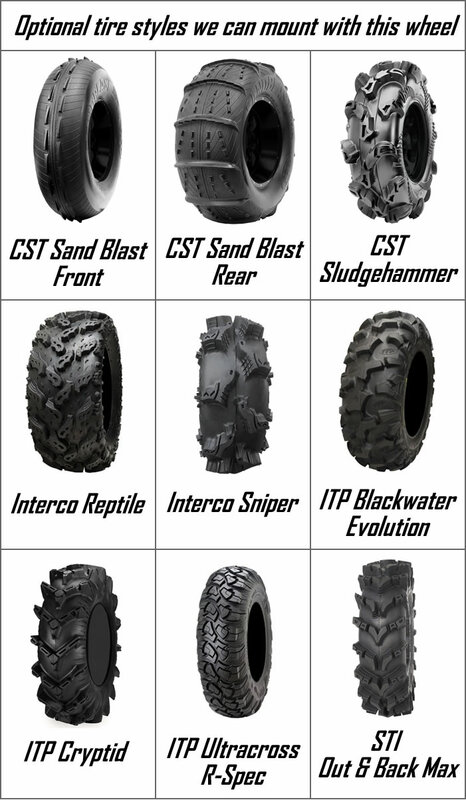 - Add optional tires and we'll send you a mounted tire/wheel kit ready to bolt on to your machine! - 1000 lb. load rating per wheel. These look sweet on my ride! I had to buy a lift kit but they look really good definitely turned some heads when I went riding.